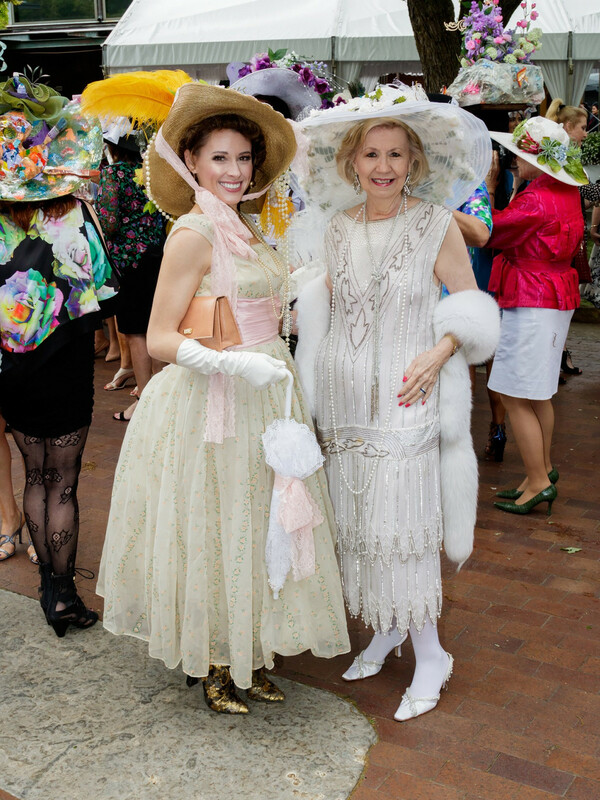 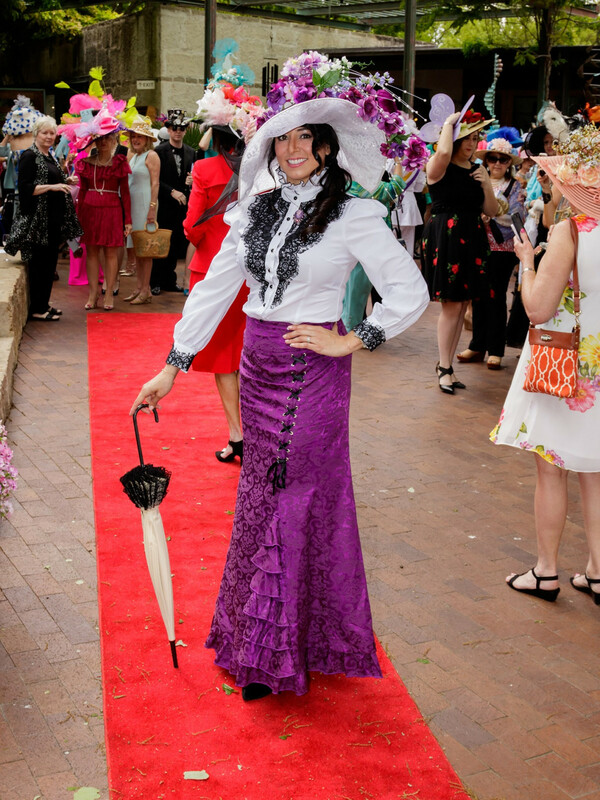 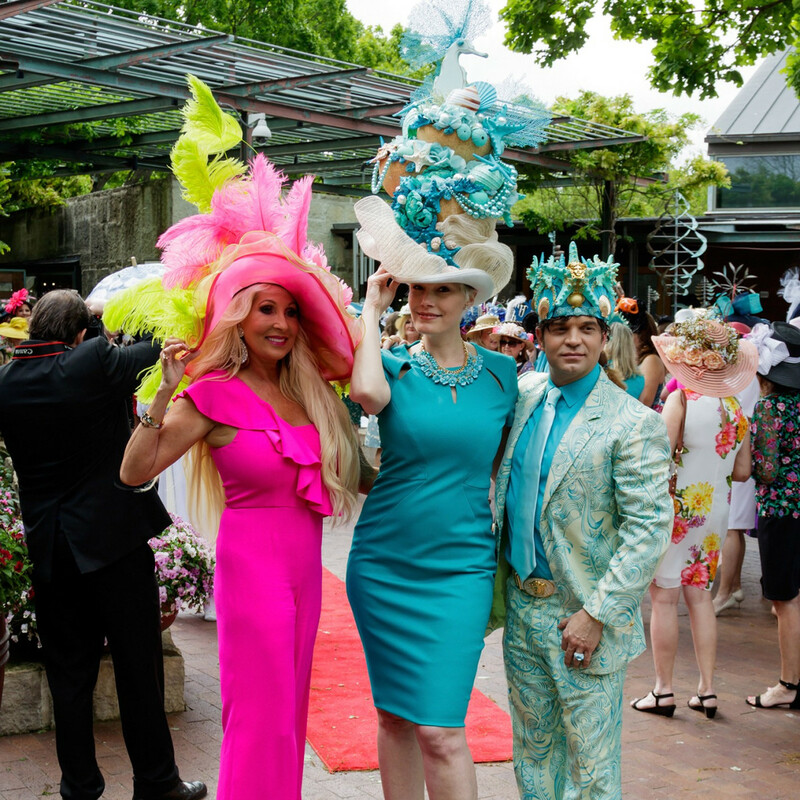 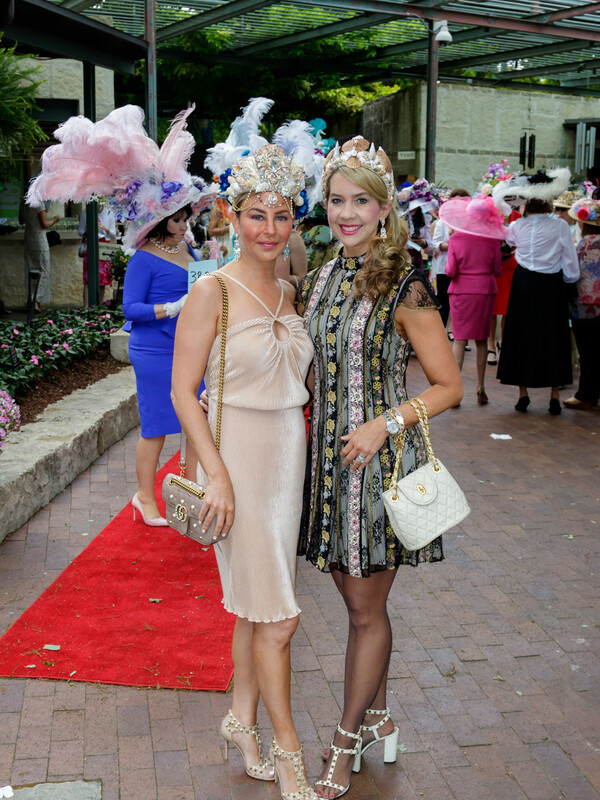 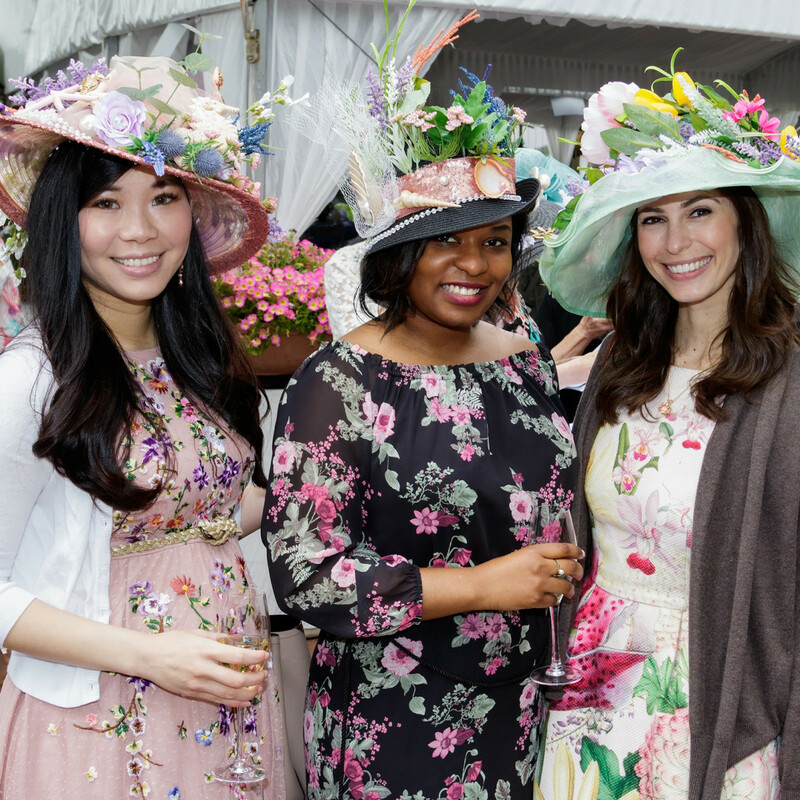 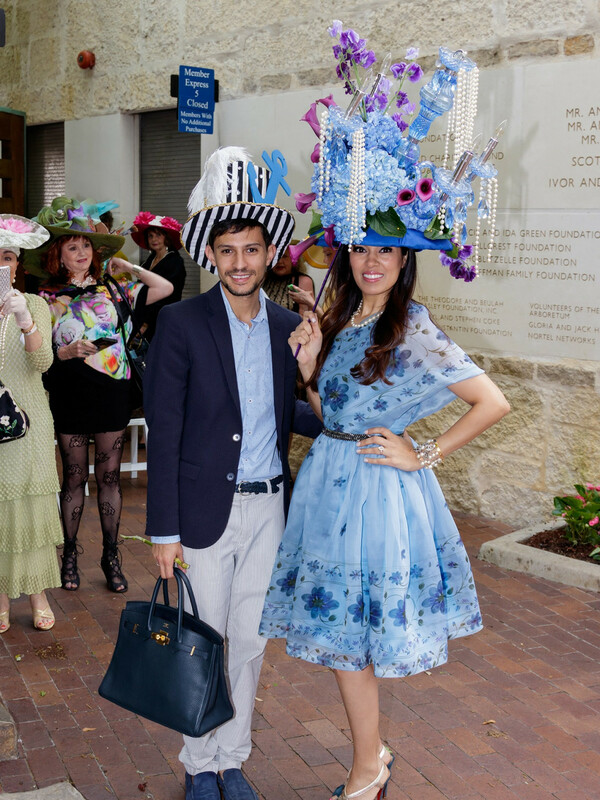 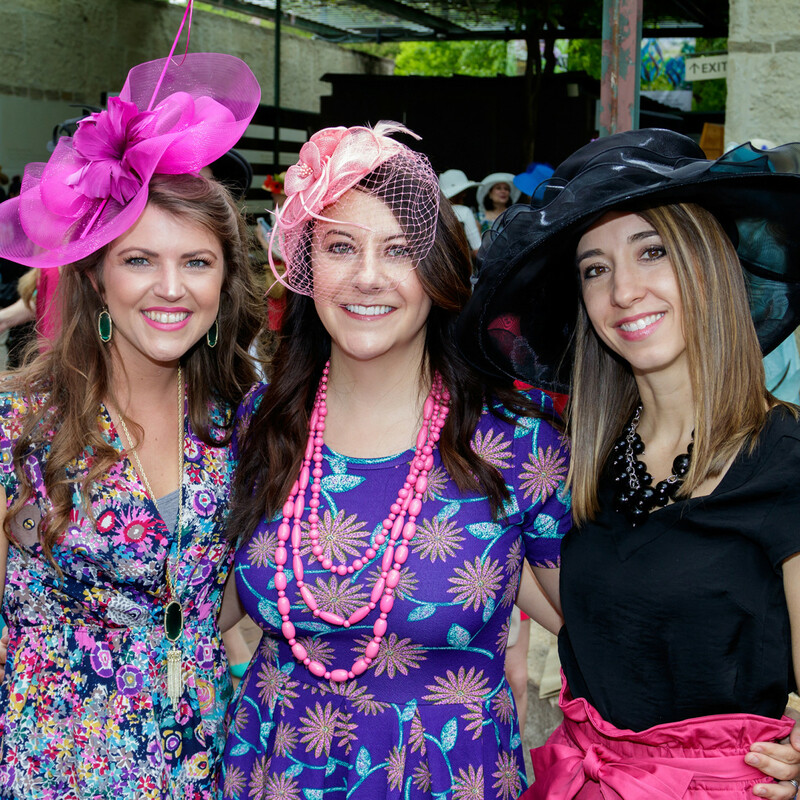 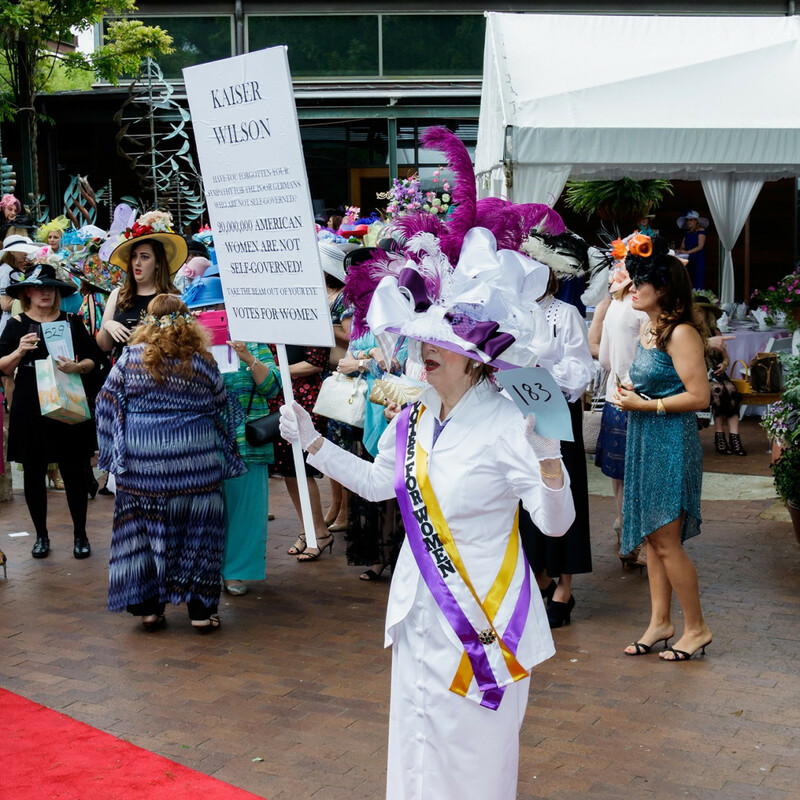 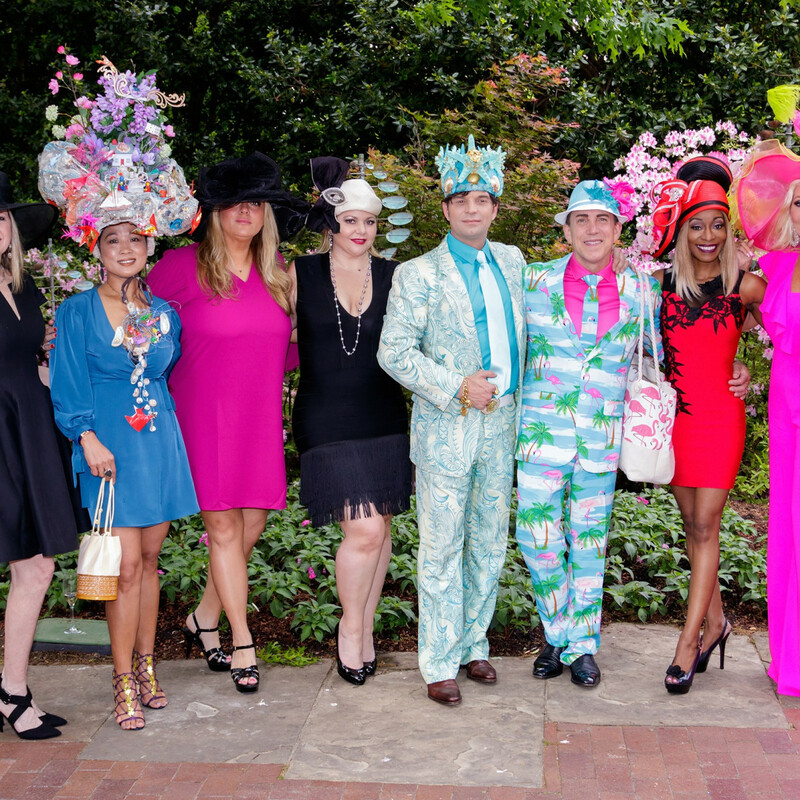 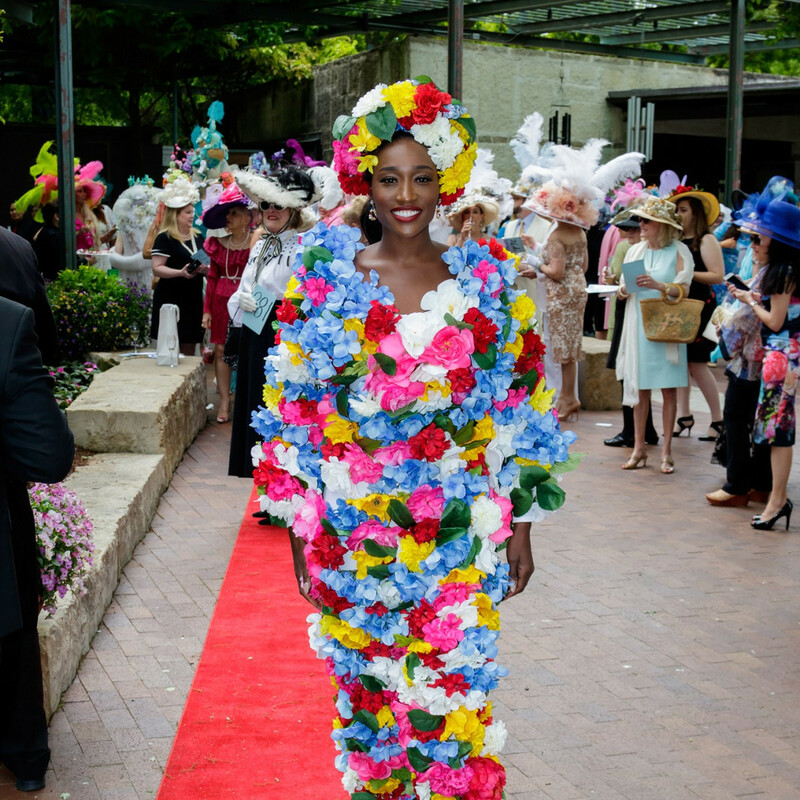 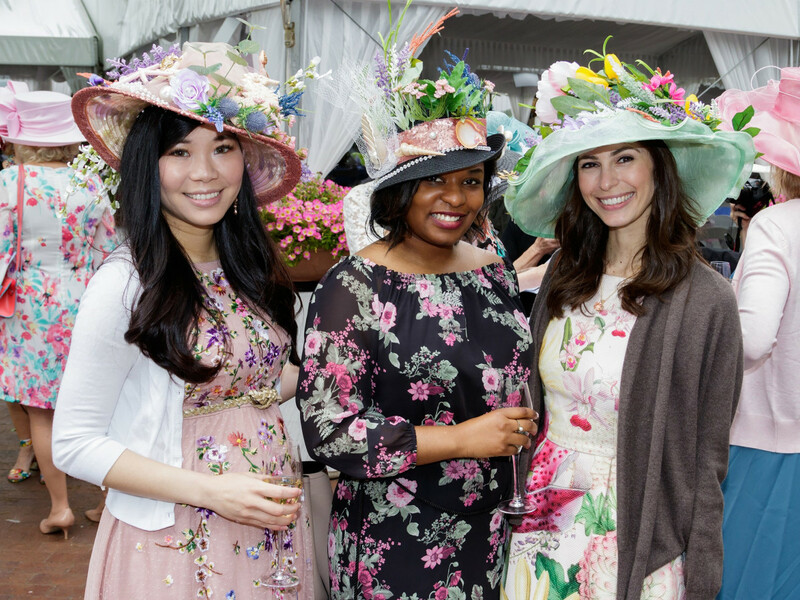 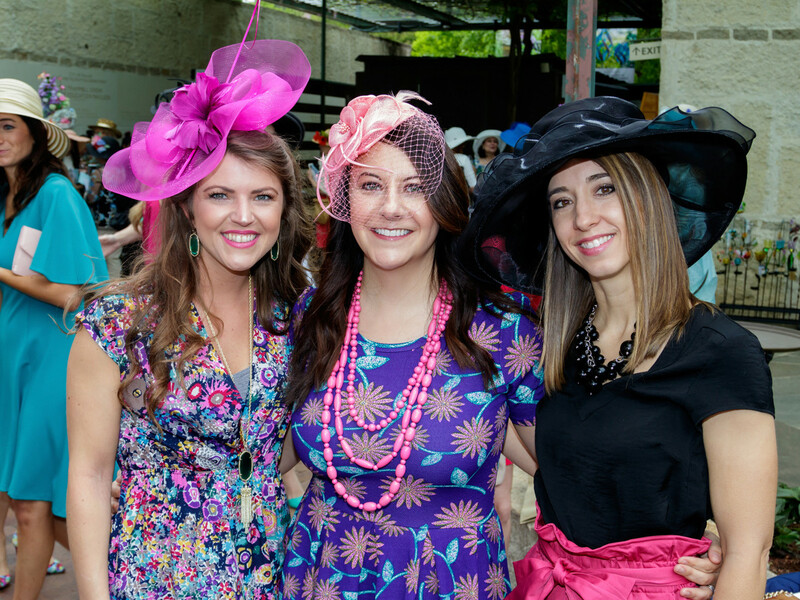 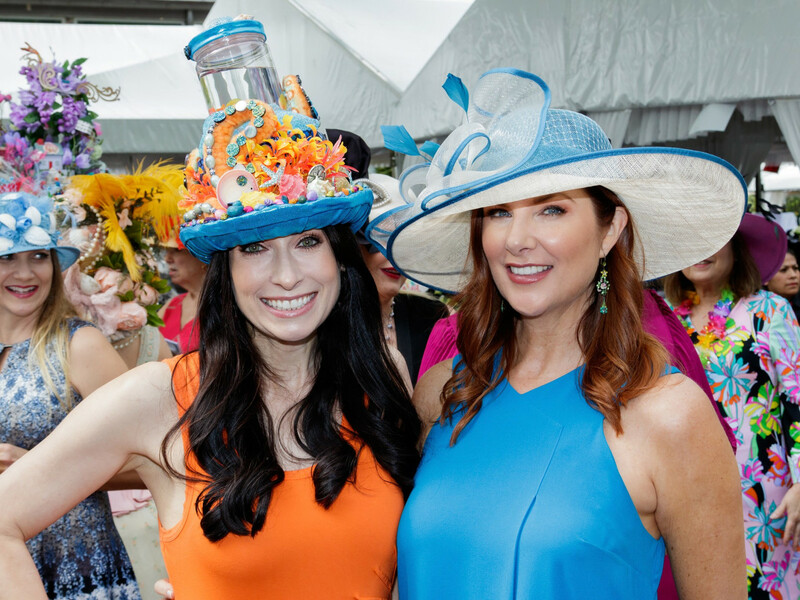 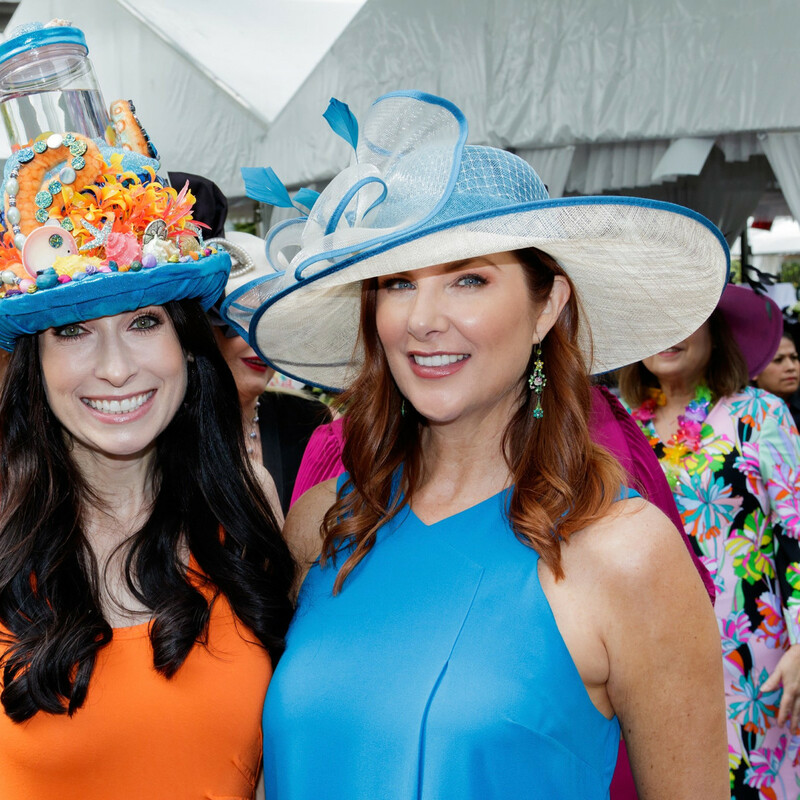 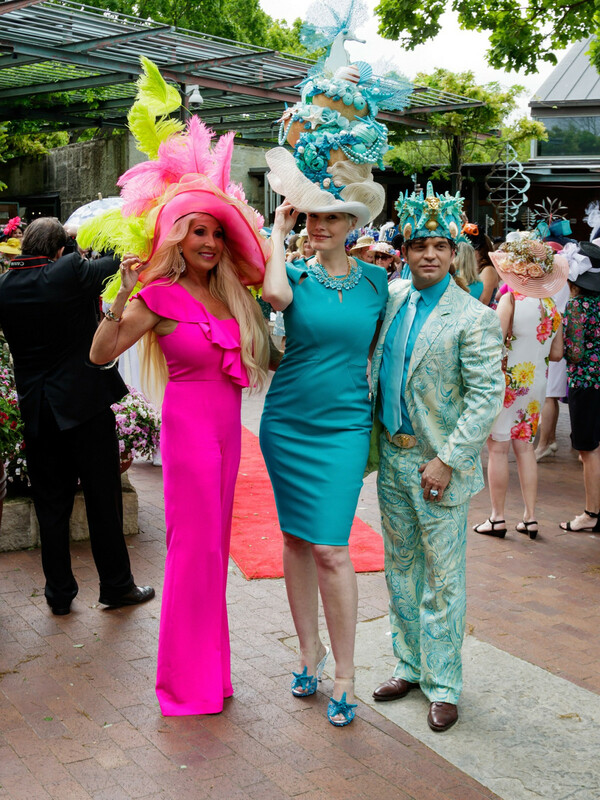 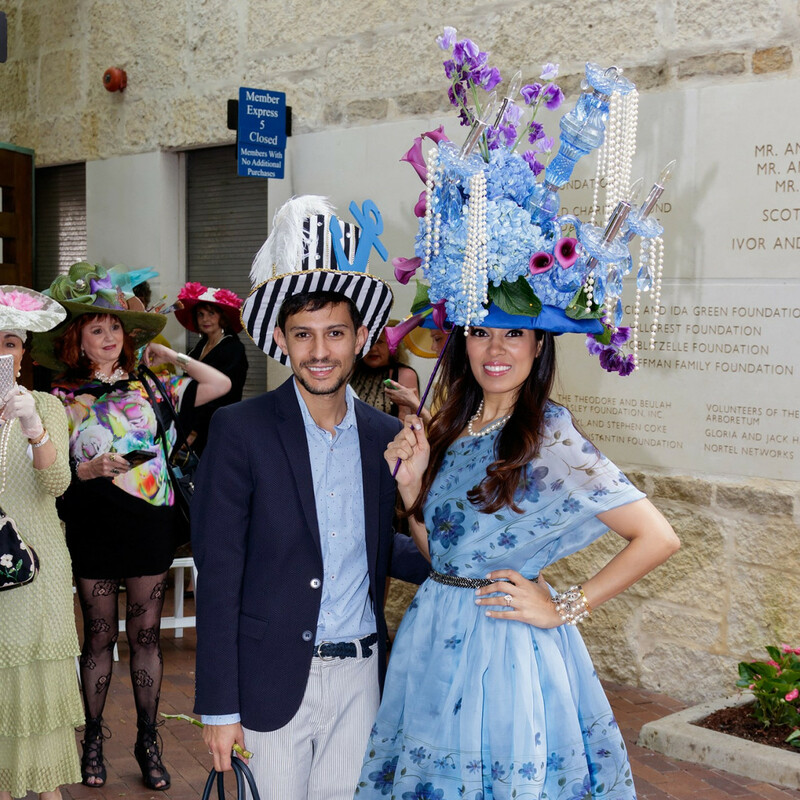 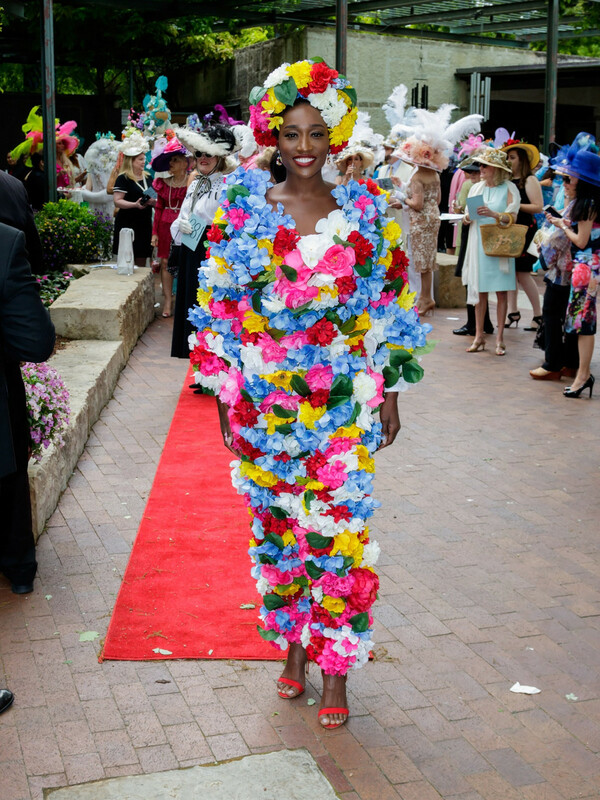 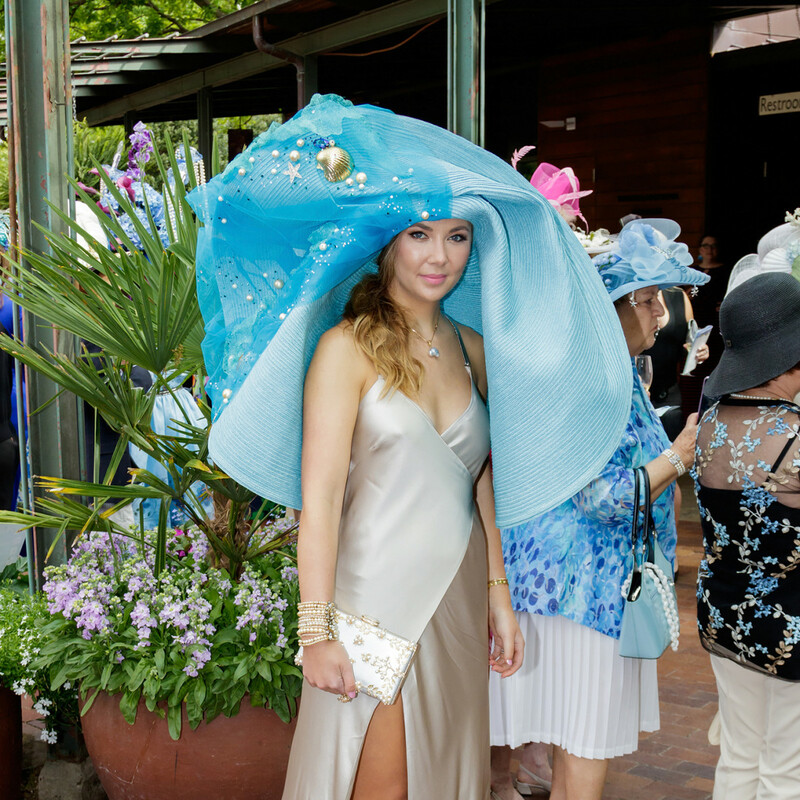 This year's Mad Hatter's Tea theme, "A Garden by the Sea," gave guests a lot to play with. 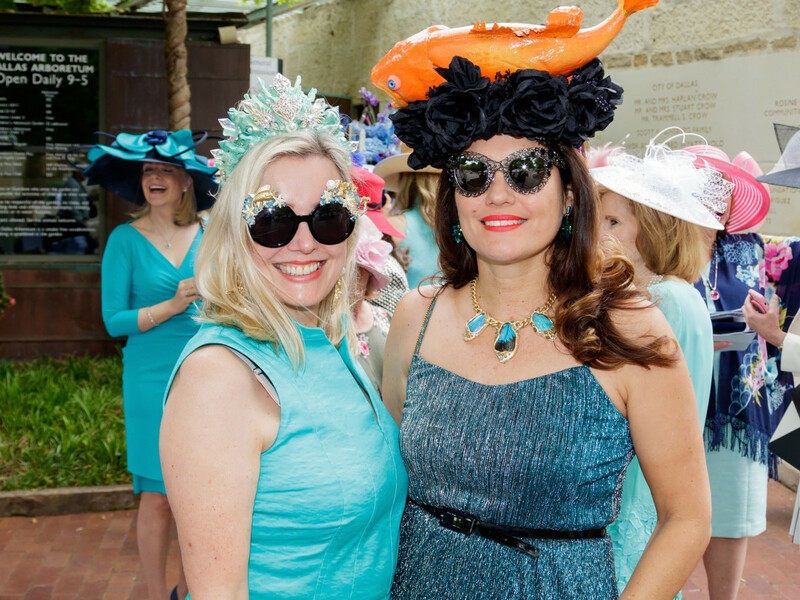 And play they did, with whimsical hats that incorporated all manner of seaside adornments: tropical flowers, seashells, mermaid dolls, miniature beach chairs, plastic piña colada cups — one even featured live goldfish swimming in a bowl inside the hat. 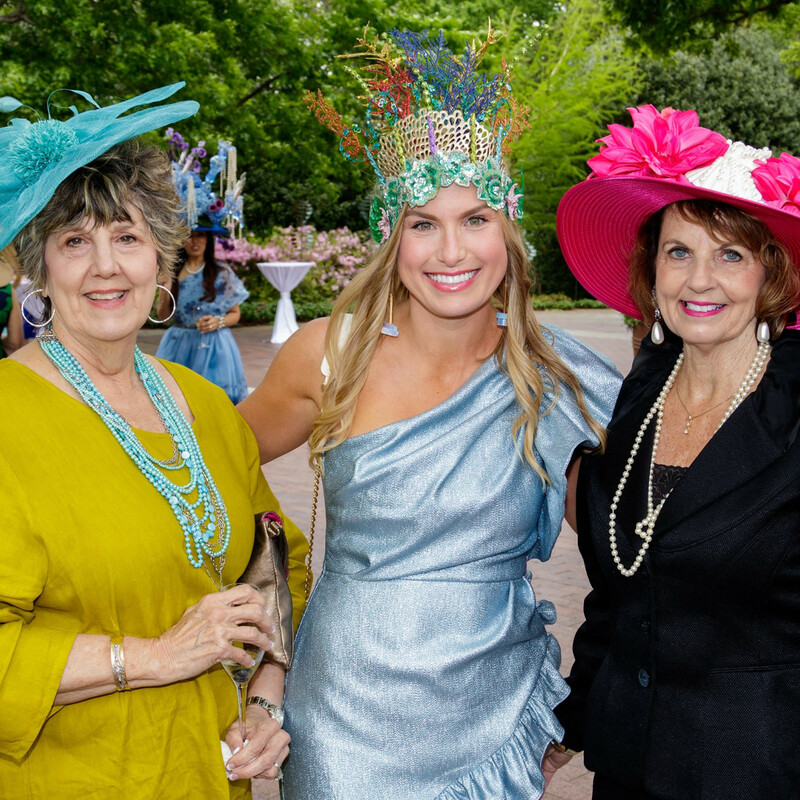 Event chair Venise Stuart and co-chair Sandy Secor had the added pressure of a milestone event, as this year marked the 30th annual Mad Hatter's Tea, presented by the Women's Council of the Dallas Arboretum and Botanical Garden, and recognized the hard work of the organizers who came before them. 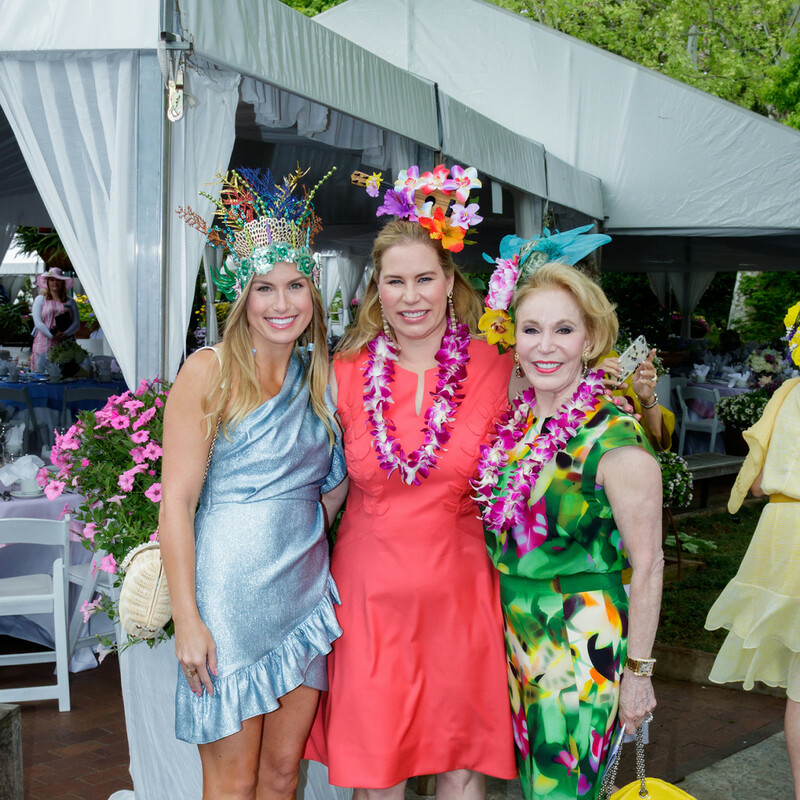 Linda L. Burk was the honorary chairman, and special recognition was paid to the event's founder, Carole Ann Brown. 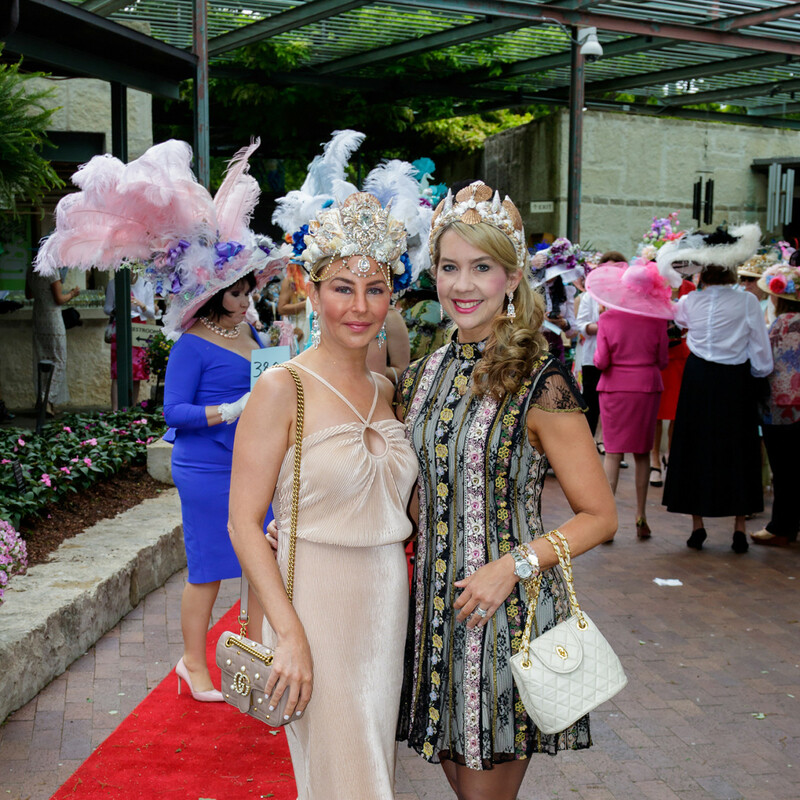 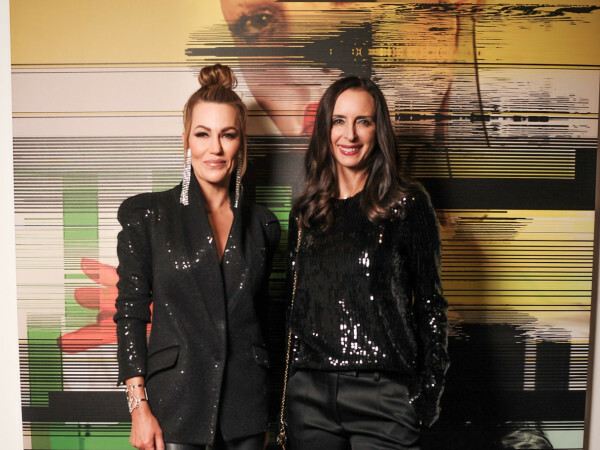 Guests — including Cynthia Smoot, Amber Griffin, Adean Kingston, Jennifer Stalkup, C.C. 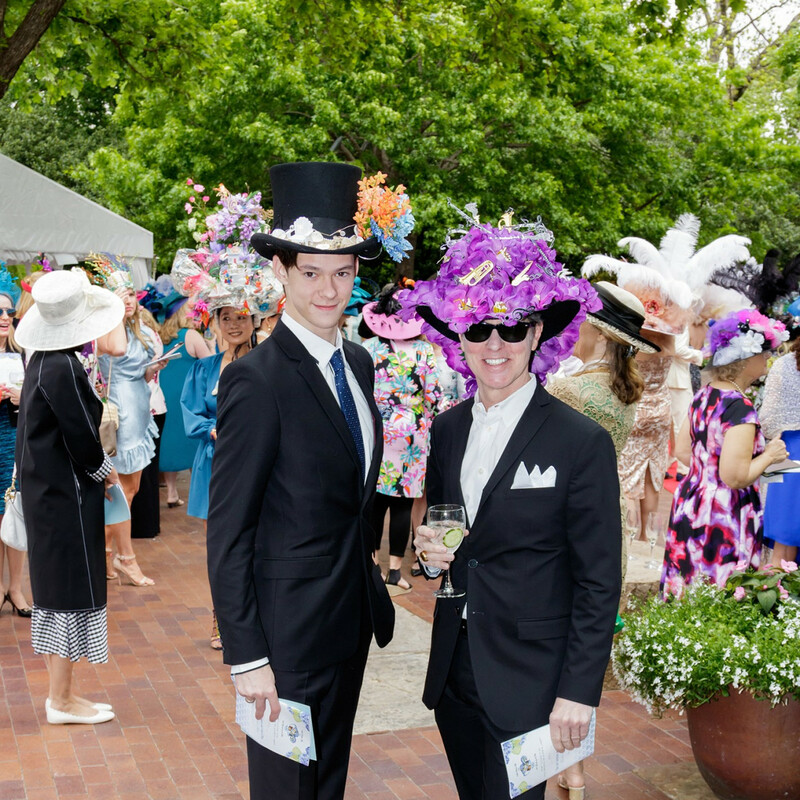 Alexander, Kate Boatright, Jayne Herring, Yvonne Crum, Anne Rincon, April Manson, Lydia Inboden, Linda Knox, Laura Holden, Steve Holden, Keith Grisham, and Brooke Grisham — first gathered for a champagne reception throughout the Dallas Arboretum's Ginsburg Plaza. 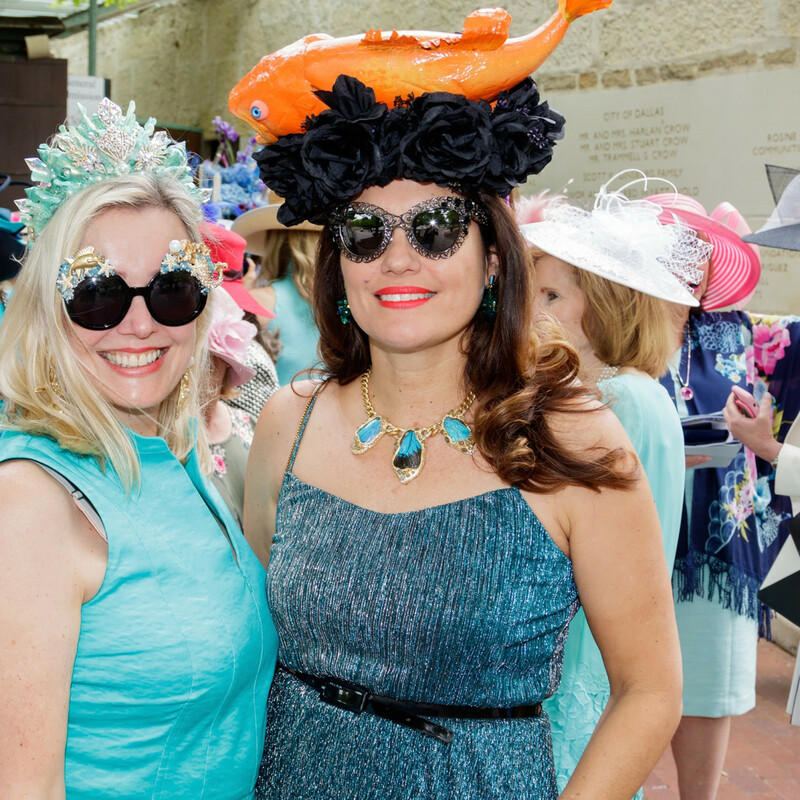 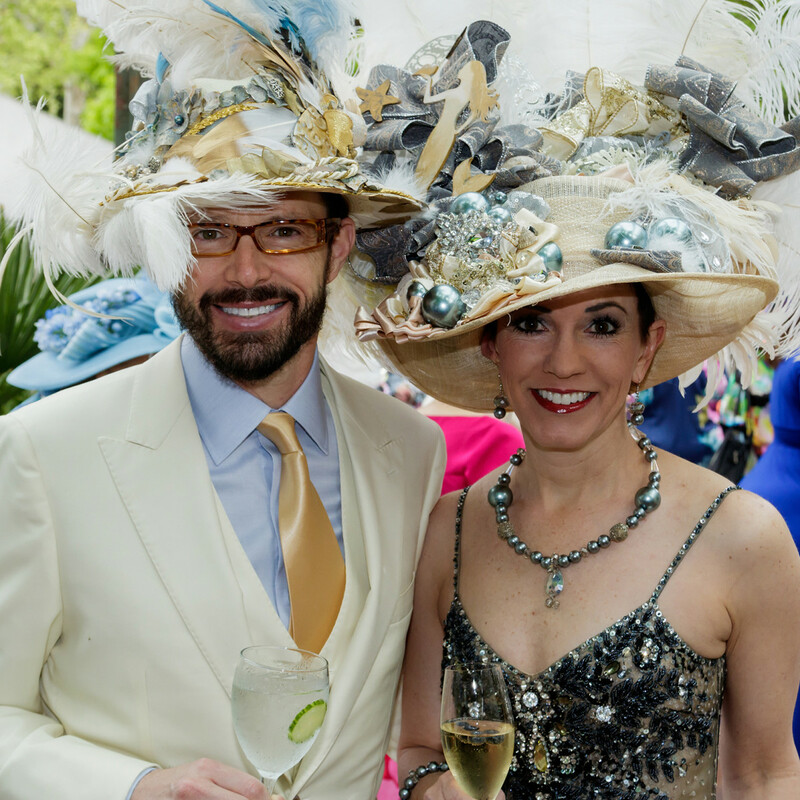 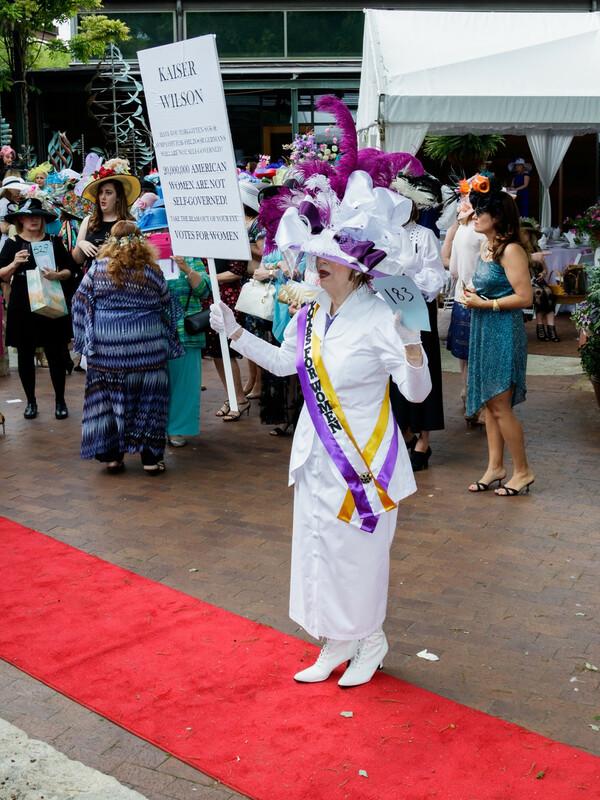 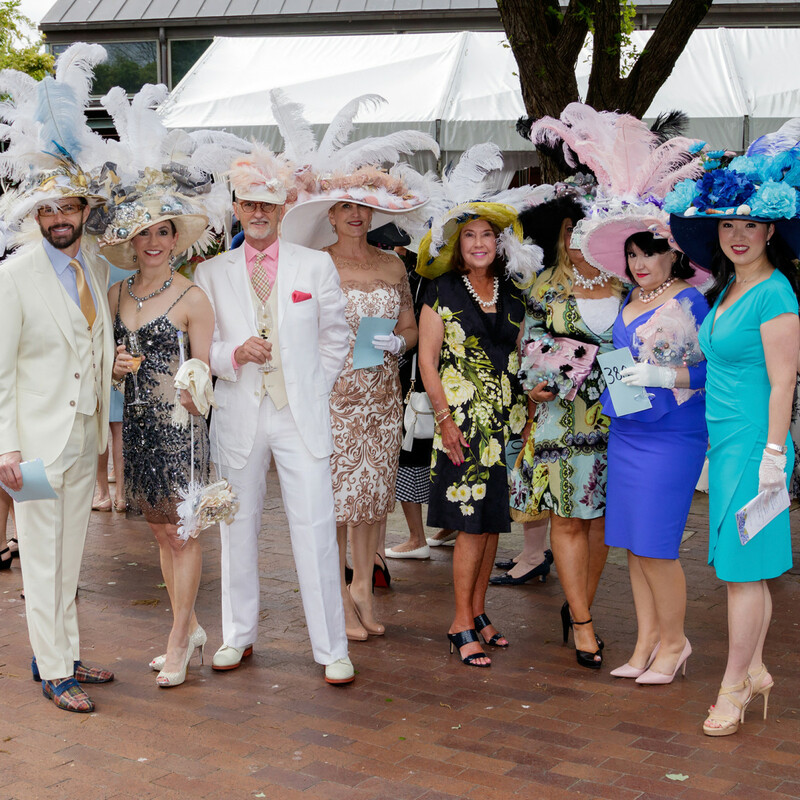 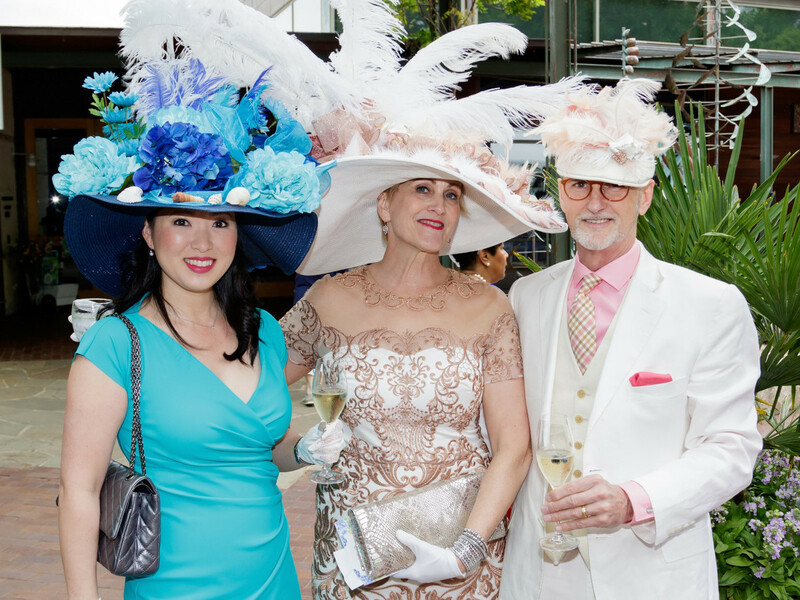 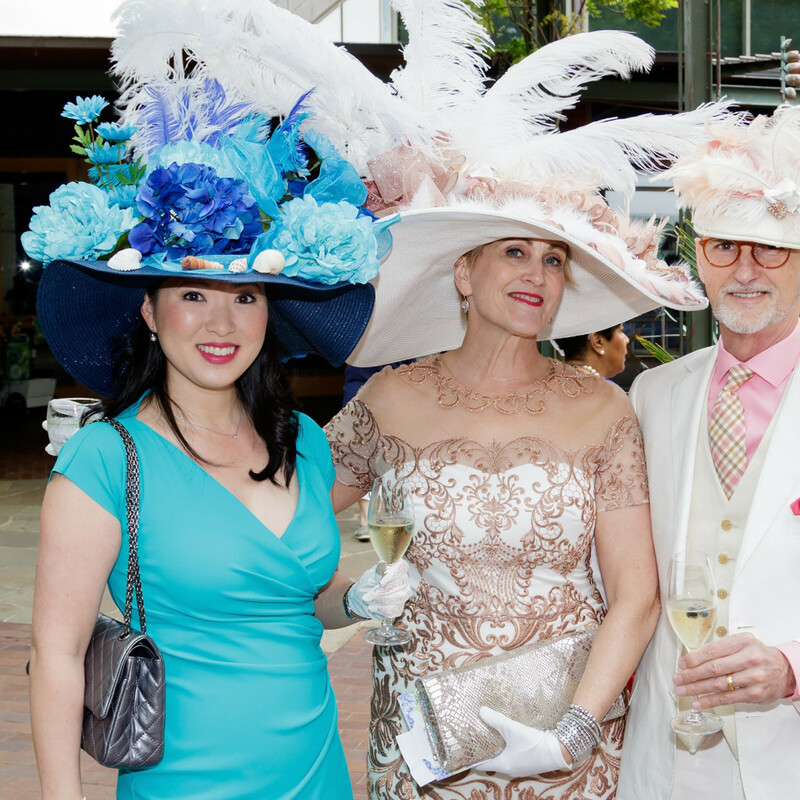 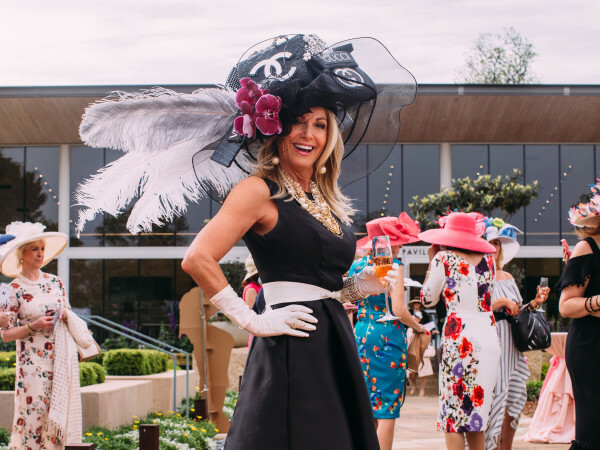 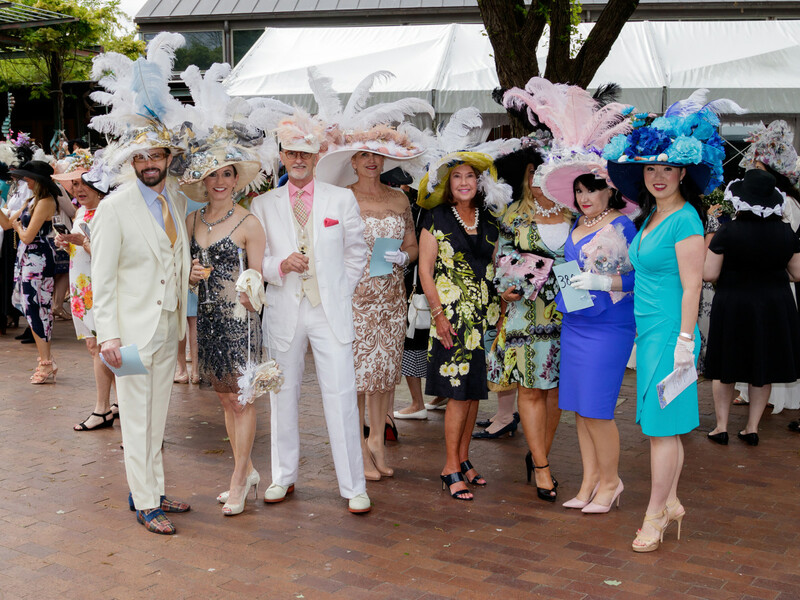 As attendees arrived and snapped photos of each other, the plaza was awash in a sea of hats, each more creative and elaborate than the last. 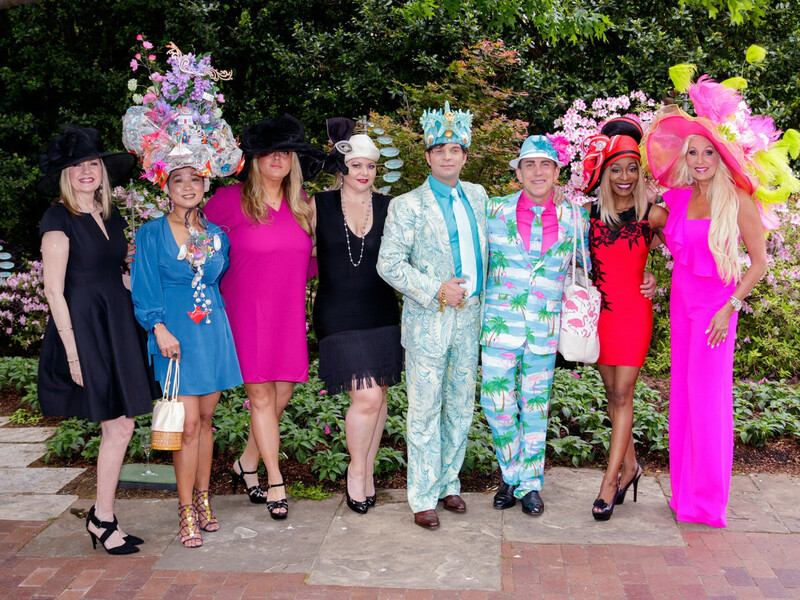 This year's hat contest judges had their work cut out for them. 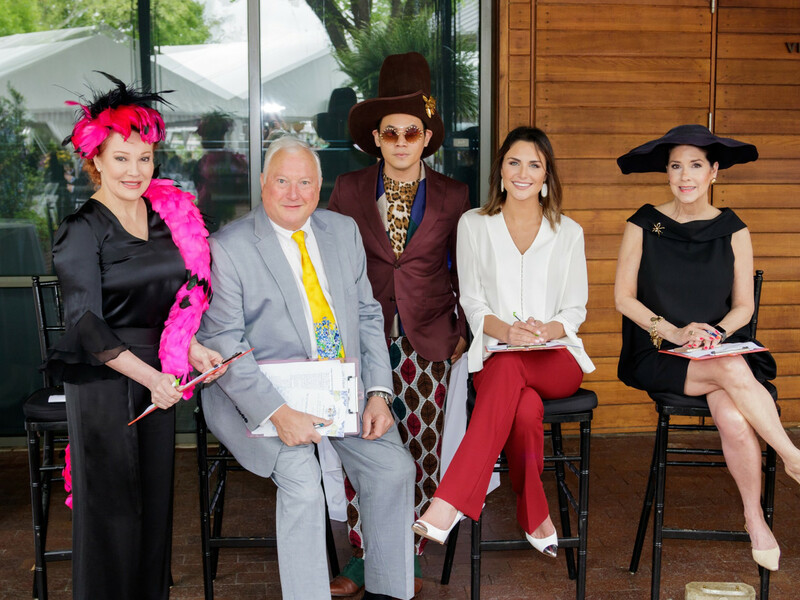 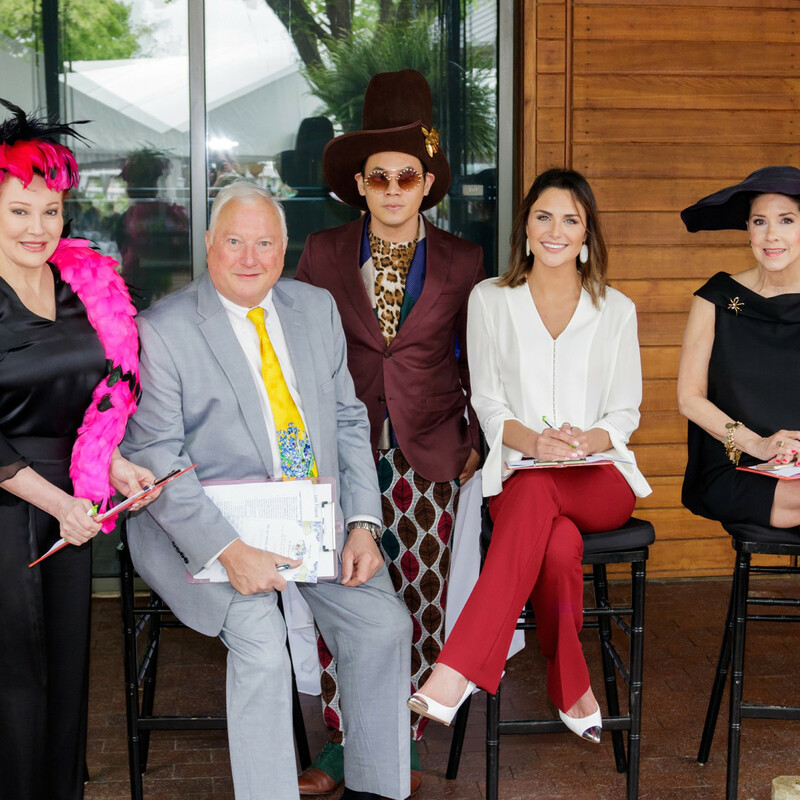 Walking around with pens and clipboards were John Tesar, Alanna Sarabia, Ali Nugent, Empress Gilbert, Joe Polthakorn Viboonviryawong, Patti Flowers, and Lee Foster Fuqua. 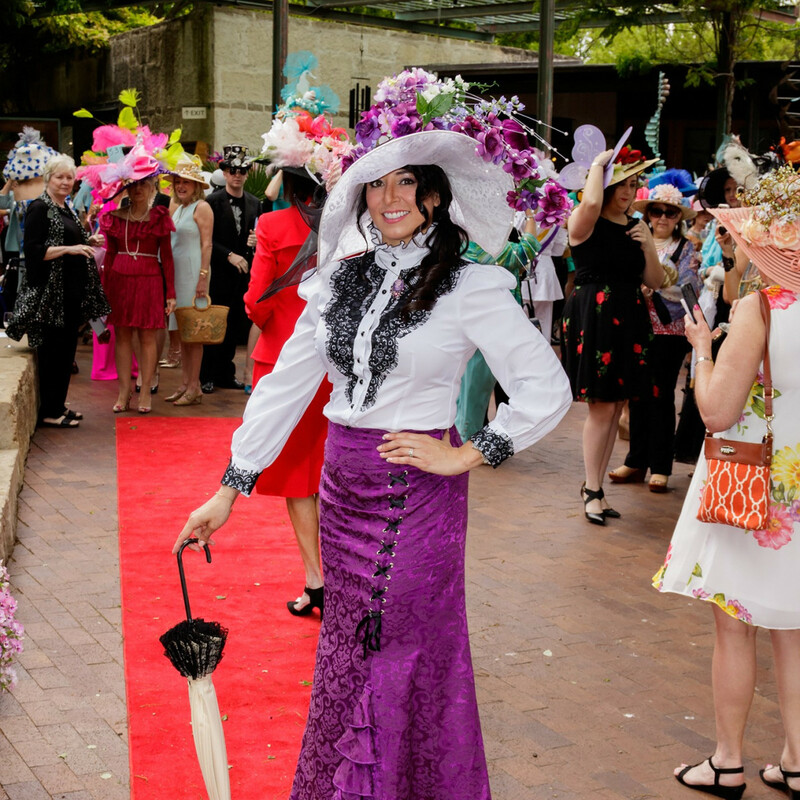 Inside Rosine Hall, emcee Joceyln White opened the festivities by correctly declaring, "Mad Hatter's is the best people-watching in Dallas." 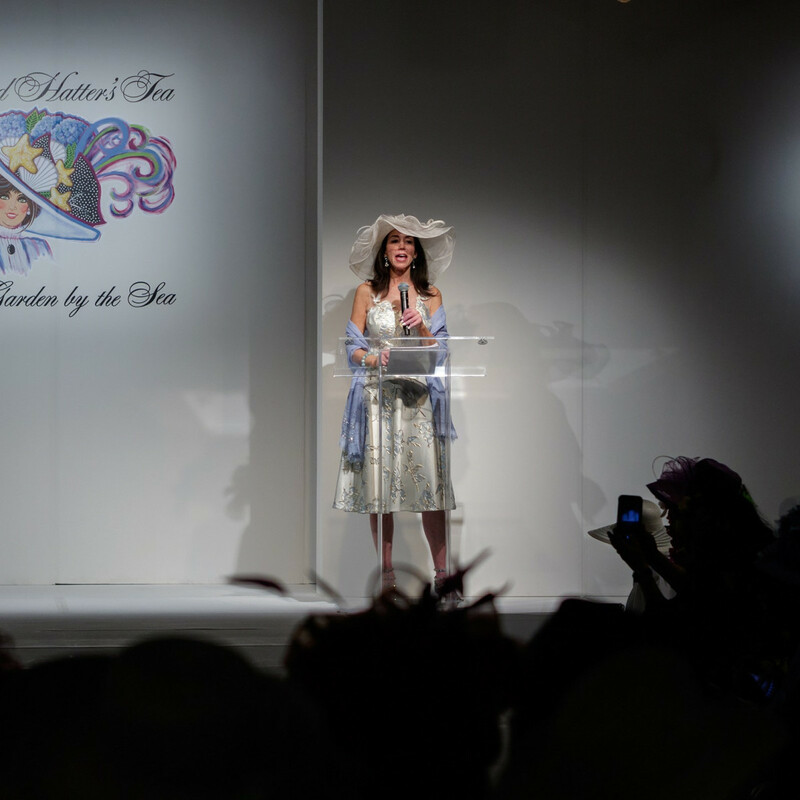 Past event chairmen who were present then got a chance to take a bow on stage. 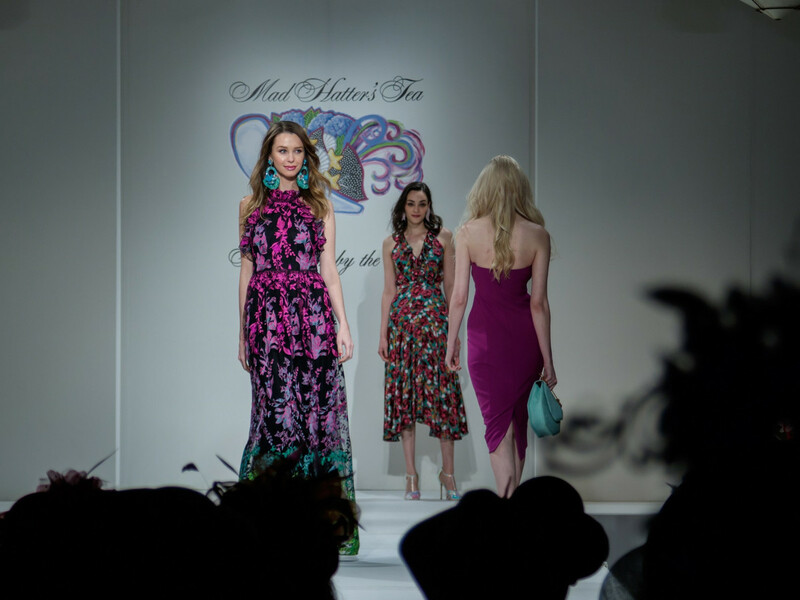 This year's Tootsies fashion presentation, produced by Jan Strimple, showed looks that were both daytime chic and high-fashion haute. 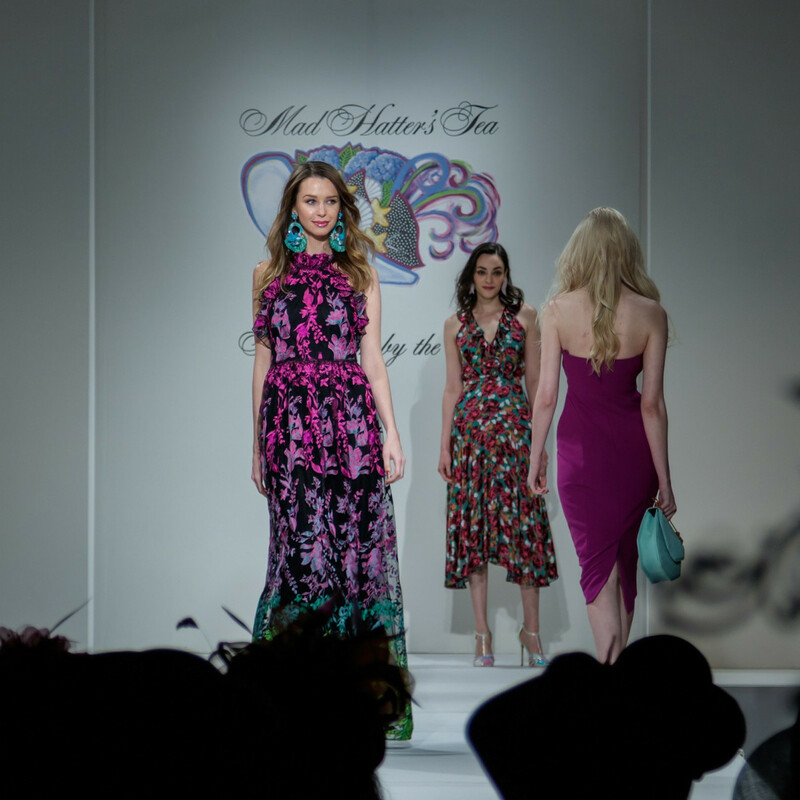 The show ended with stunning gowns by designer Jenny Packham, best known as Catherine, Duchess of Cambridge's go-to ballgown designer. 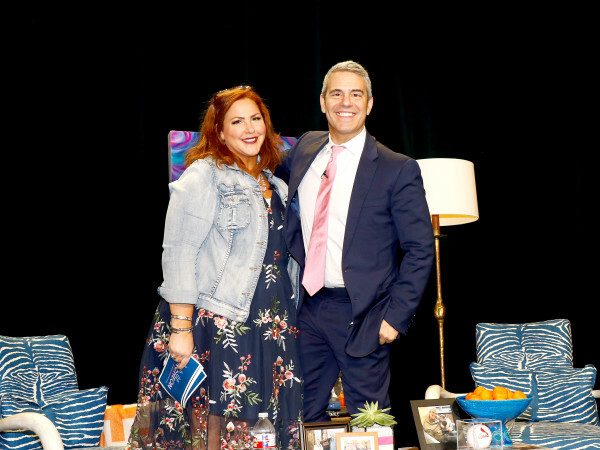 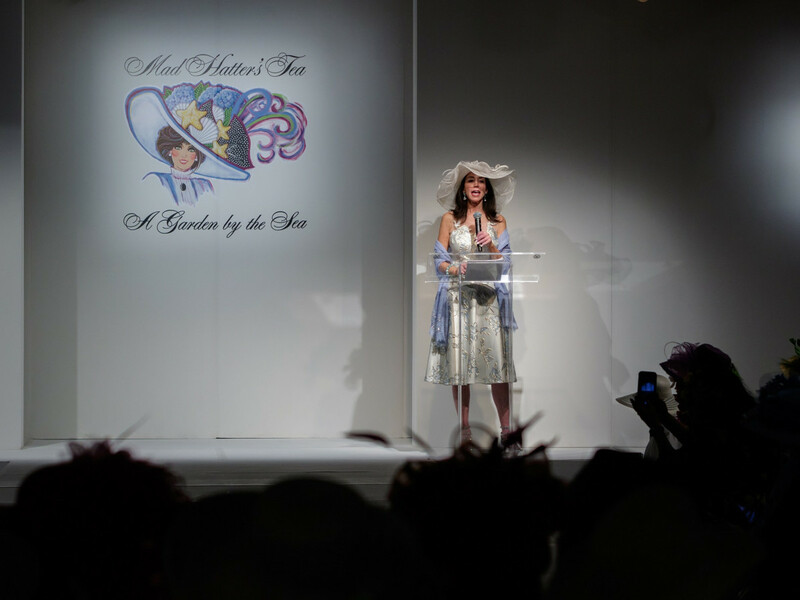 Bidding was fierce for fabulous prize packages in a live auction. 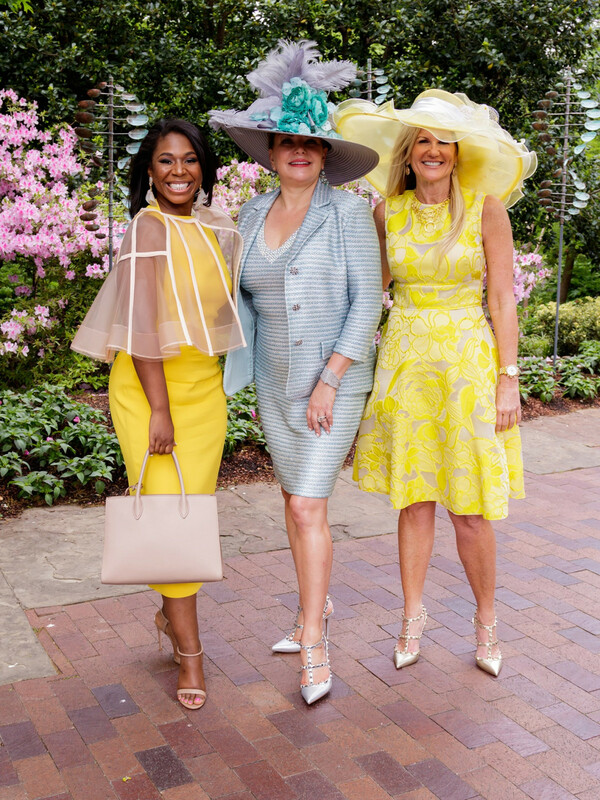 This year's big "gets" included a stay in the Hotel Adolphus penthouse ($10,000) and a weeklong getaway to Southern France ($10,000). 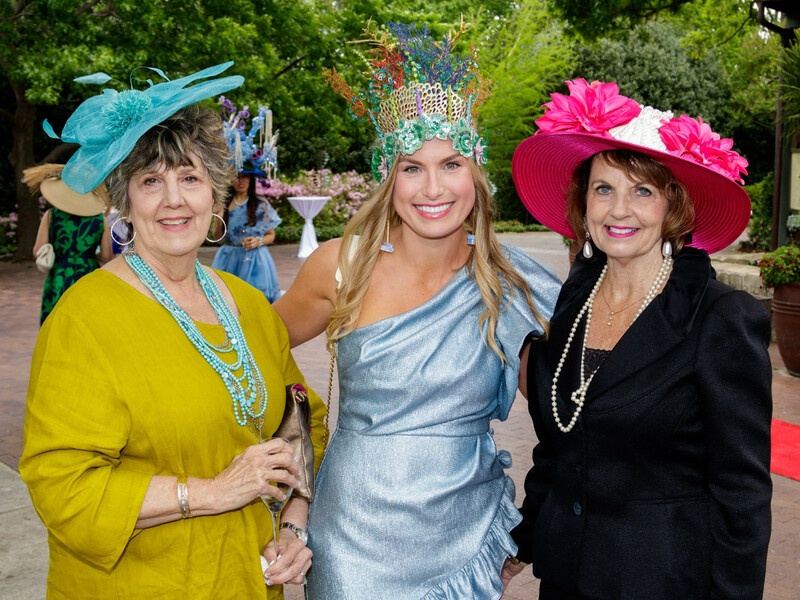 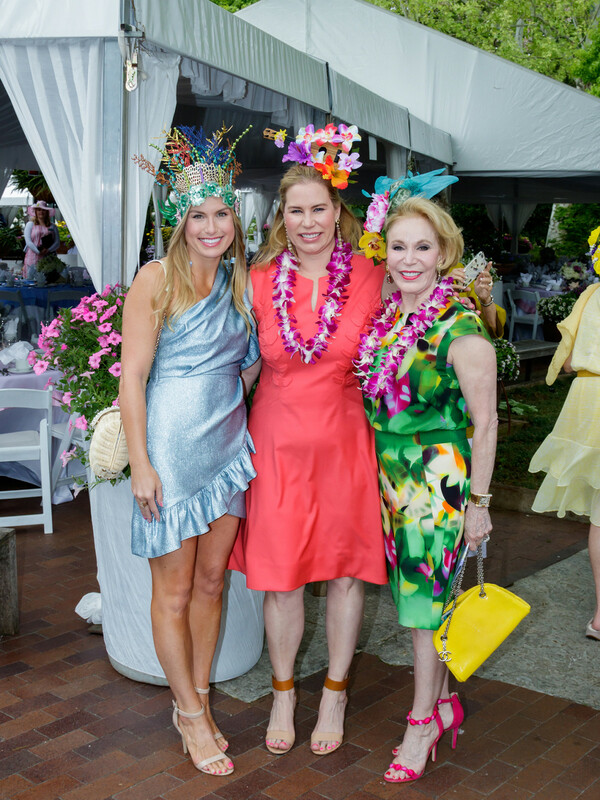 A "big ask" event raised many thousands more for the event's designated beneficiary, A Woman's Garden at the Arboretum. 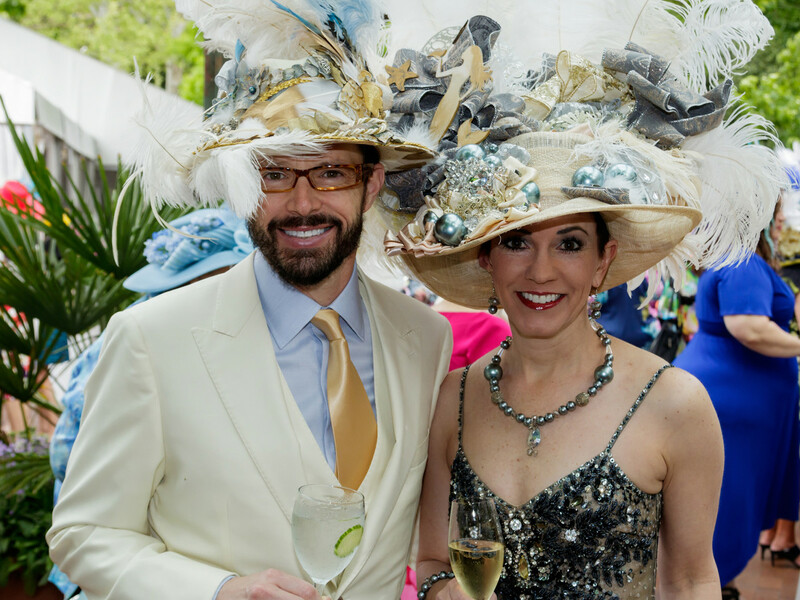 By the time guests headed back outside for a tented lunch on the plaza, the clouds had burned off and the spring breezes had picked up. 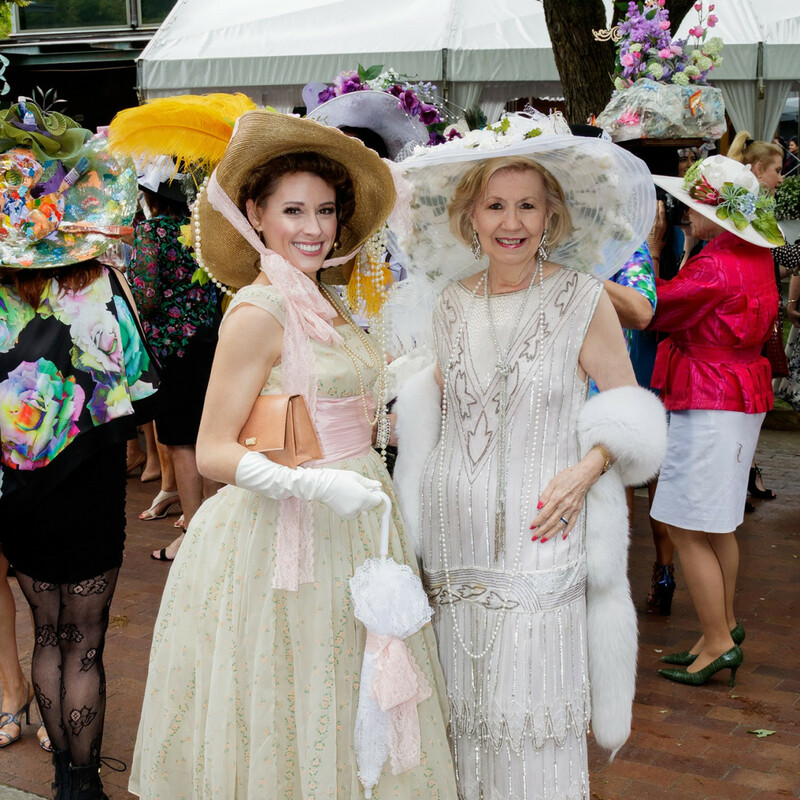 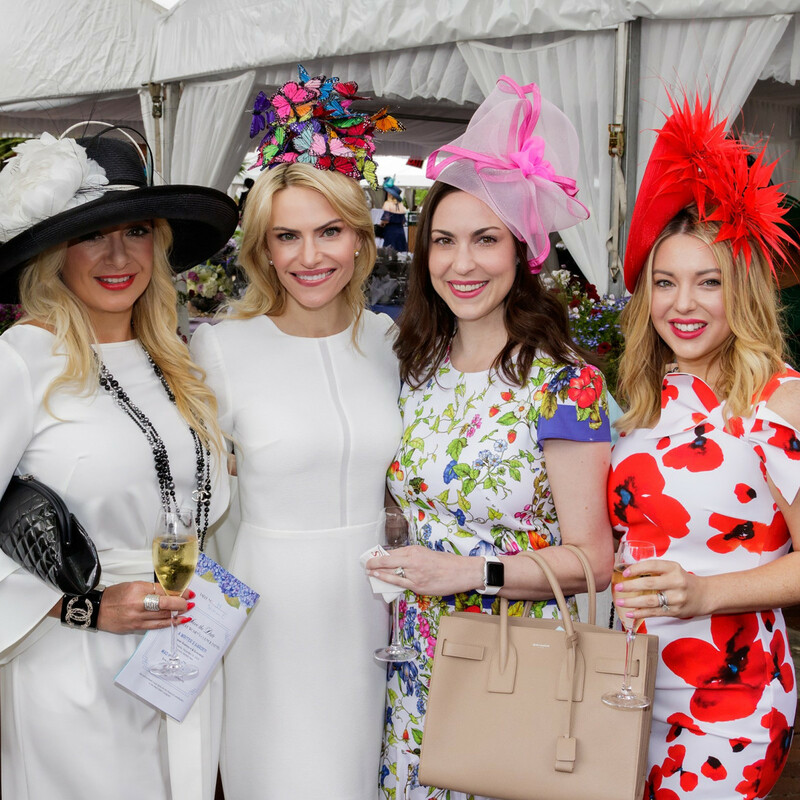 Women held their oversized chapeaux in place as they found their tables and sat down to a "Gilded Age Menu" of Titanic's Lettuce Veloute, Crepes of Quail and Crepes a la Newport, DeGolyer Herbed Biscuits, Charlotte Russe, and Fruit Gelees — all provided by Gil's Elegant Catering. 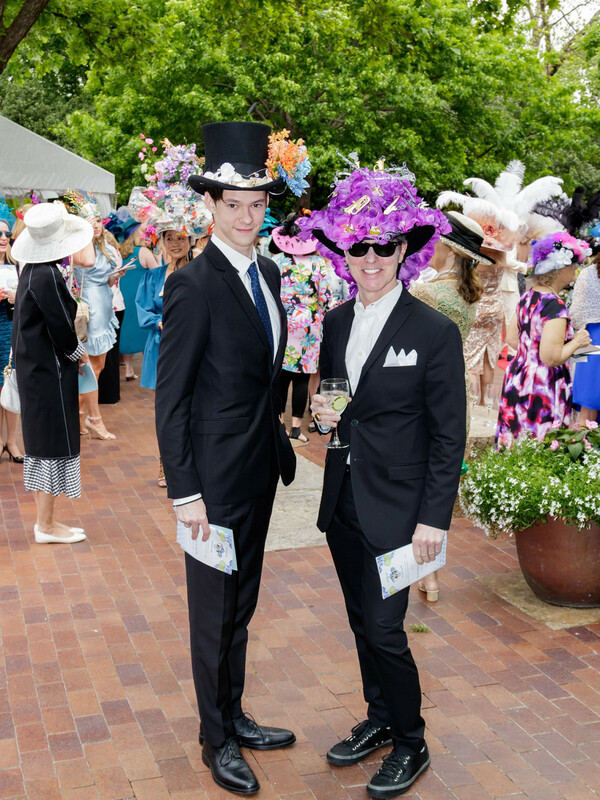 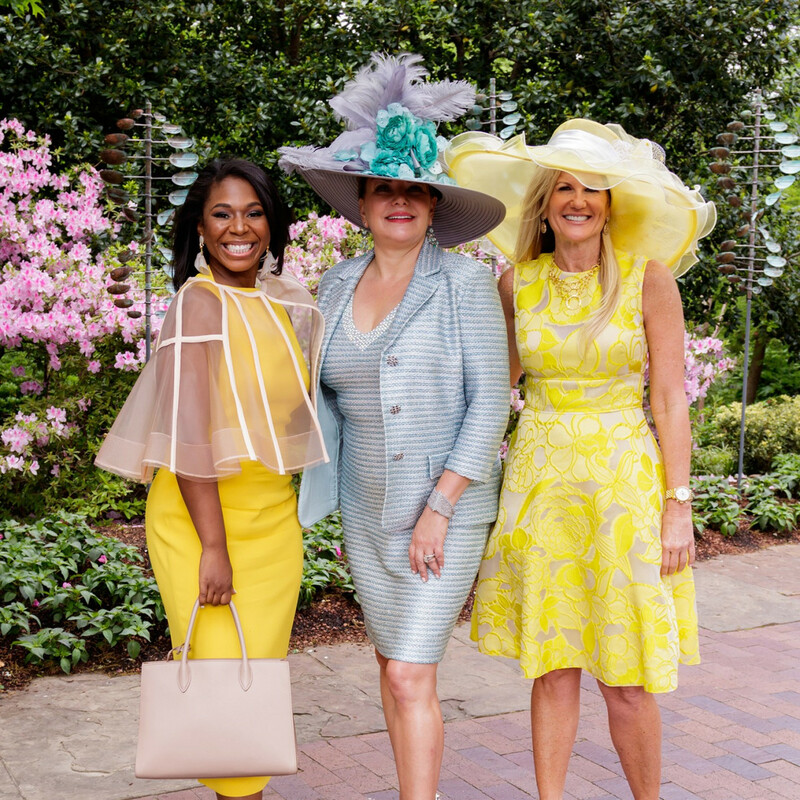 Attendees took final photos and lined up to purchase gorgeous centerpieces of roses, peonies, lilies, and hydrangeas or to make final contributions toward A Woman's Garden. 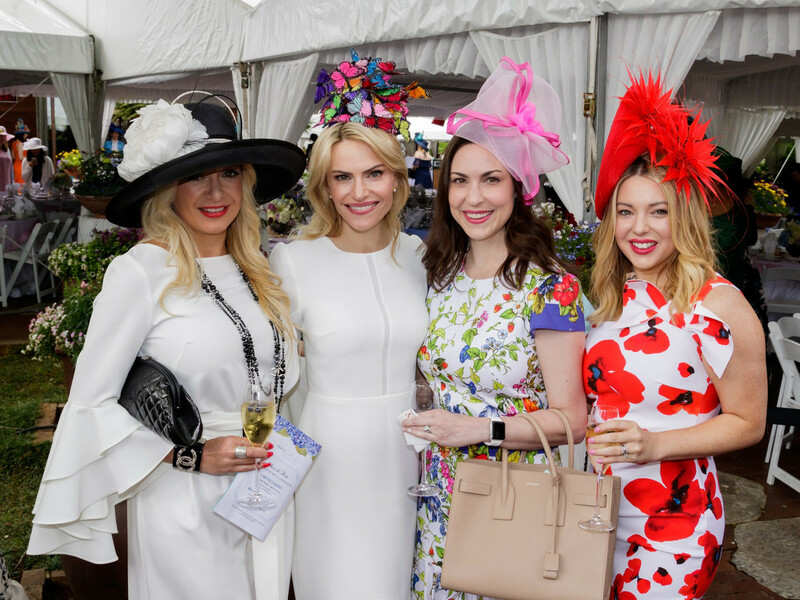 The garden's newest element is The Boxwood Niche, an intimate, classical garden featuring Green Velvet Boxwood and elegant White Camellias.